Jack Burridge: That's the name I want. Terry: Well, that's the first thing taken care of. Q: Where was "Boy A" filmed? Q: Is "Boy A" based on a true story? 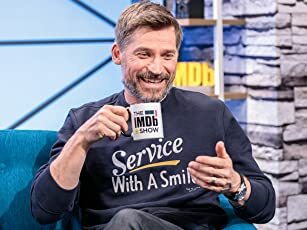 Q: Why the title "Boy A"? BOY A is a film that moves the audience in ways few other films do. Part of this is the subject matter, part the solid drama of the novel by Jonathan Trigell on which Mark O'Rowe based his brilliantly understated screenplay, part the sensitive direction by John Crowley, and in large part is the cast of remarkably fine actors who make this impossibly treacherous story credible. 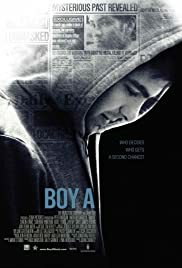 'Boy A' refers to Eric Wilson (Alfie Owen) who was jailed for a crime with his friend with whom he was associated as a youth. He has been released from prison and under the guidance of his 'parole officer/adviser' Terry (Peter Mullan), the now young adult is renamed Jack Burridge (Andrew Garfield) to protect him from the public who still remember the heinous crime of which he was convicted: Terry warns Jack to tell no one his real identity. Jack is assigned a new family and finds new friends in this strange world outside prison walls, but he is still haunted by the crime that changed his life. How Jack relates to his first female relationship and survives the bigotry of his classmates and city folk and finds a way to hold onto life despite his childhood 'sins' forms the development of this story.